What is Colloidal Silver Technology? A pure Colloidal Silver, such as Hydro-SilverC colloidal silver, represents the ultimate refinement and purity of the silver supplement category. It is the suspension of high content of ultra-fine, positively charged silver ions (Ag+) in only pharmaceutical-grade purified water. This is not to be confused with ionic silver, an inferior form of neutral silver/silver salt that is in solution (dissolved), rather than in colloidal suspension. The positively charged silver ions (cations) in a pure Hydro-SilverC remain in suspension, maintaining their fully active state for use within the body. Is Colloidal Silver considered to be a nutritional supplement, food, drug, or something else? Hydro-SilverC colloidal silver liquid is a nutritional supplement that passes through the body unchanged. 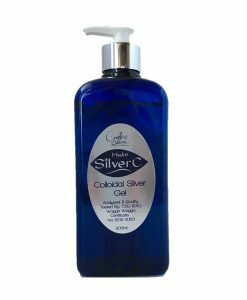 Colloidal Silver Gel is registered as a homeopathic drug with the FDA. Hydro-SilverC colloidal silver has benefits that are scientifically proven while safe enough to be a food supplement. Hydro-SilverC colloidal silver functions like an antibiotic, but is unique because bacteria do not mutate to become resistant to it. Hydro-SilverC colloidal silver has the ability to kill or neutralize most forms of bacteria, viruses, mould, yeast, and a limited number of parasites. It can also purify water. Hydro-SilverC colloidal silver functions as a non-toxic disinfectant for internal or external use as it comes in two forms: liquid and topical homeopathic gel. From toenail fungus to rashes, Hydro-SilverC colloidal silver aids the immune system in reducing the bacteria, viruses, and mould it encounters. 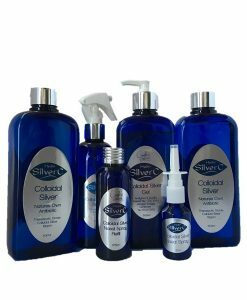 Is Hydro-SilverC colloidal silver safe to use? All batches of our Hydro-SilverC colloidal silver products contain the purist silver particles which are extremely low in concentration (18 ppm), oligodynamic in nature and extremely small in size to help facilitate elimination from the body once it has been ingested. It is also devoid of salts or any other contaminants. Worldwide authorities on silver agree that it is best suited as an oligodynamic material because of the extremely slight solubility of most of its salts which renders it almost impossible for large concentrations of silver ions to accumulate in the human body. This is in agreement with the authoritative medical and scientific literature over the past 80 years. According to the Merck Index, elemental silver is the only metal not considered to be a heavy (hazardous) metal since it does not accumulate in the fats and does not produce poisoning. It passes through the body unchanged, thus it does not produce any harmful metabolites. In addition, it’s non-irritating to skin, eyes, lungs, and mucous membranes. According to the United States EPA guidelines, the oral consumption of small amounts of silver in water on a daily basis poses NO significant risk. Is it true that silver products with higher concentrations (ppm’s) are more powerful? No. The concentration isn’t nearly as important as particle size and particle charge. The smaller the silver particle, the more powerful its energy charge will be. Also, the higher the percentage of charged silver particles, the more positive the biological action becomes. Our Hydro-SilverC colloidal silver at 18 ppm outperforms other products with up to 500 ppm. This is because such products with higher concentrations of silver are comprised of very high particle size ranges containing little, if any, charged silver particles. Should I use Hydro-SilverC colloidal silver every day or only when I’m sick? How much should I take? For best results, we recommend that you ingest Hydro-SilverC colloidal silver on an empty stomach. Always use Hydro-SilverC colloidal silver in its pure form and do not dilute it with other liquids or water. Recommended ingestion for adults – One teaspoon daily or every other day taken on an empty stomach. We recommend ½ dosages for younger children, or as directed by a health care practitioner who is knowledgeable in natural & holistic applications. Take 1 teaspoon to 1 Tablespoon once every 20 minutes for up to 24 hours on an empty stomach. Once you’re feeling better, reduce ingestion to once every 1-2 hours on an empty stomach. Hydro-SilverC also works well with other immune support methods as directed by your physician. Take 1 teaspoon to 1 Tablespoon 3 to 7 times a day on an empty stomach, or as directed by a health care practitioner who is knowledgeable in natural & holistic applications. Is Hydro-SilverC safe for children to use? Yes, but the recommended dosage is half of the normal adult dose. Administer 2 to drops to babies and infants younger than 5 years of age. Are there any contraindications for using Hydro-SilverC while taking prescription drugs? There are no known contraindications. If you have concerns, we recommend consulting a health care practitioner who is knowledgeable in natural & holistic applications. Are there any negative side effects of using Hydro-SilverC colloidal silver? There are no negative side effects known to exist from using Hydro-SilverC colloidal silver. However, we receive reports of the positive benefits and results from product users every month. Does Hydro-SilverC colloidal silver require refrigeration or any special storage? How long can I store it? Hydro-SilverC can be stored for at least three years (or more) in a dark cool and dry place. It does not require refrigeration. How does Hydro-SilverC colloidal silver support immune function? Hydro-SilverC colloidal silver benefits the immune system directly by helping to improve the number of immune cells that are capable of surveying for disease and destroying foreign pathogens. Hydro-SilverC colloidal silver benefits the immune system indirectly by killing the bacteria and viruses the cause disease, thus reducing the workload from an already overworked immune system and allowing the immune system to refocus its energies and recharge.